President Marcon of France, gave us a new phrase today when he said. “…polluting the oceans, not mitigating CO2 emissions and destroying biodiversity we are killing our planet. Let us face it, there is no Planet B“. Because there is no Planet B, in addition to taking action; start your prayer engagement network. President Marcon has just earned his creds in the cool leaders fraternity, alongside President Obama, Prime Minister Justin Trudeau and others. It’s also reassuring to know that whoever leads our countries, God remains on the throne of the universe.Even as the anti God and anti bible movement takes hold, its great to be reminder that God remains constant. God wants to hear from you and me through prayer – your heart speaking directly to the heart of God. Reading from Acts 4:31; “After they had prayed, their meeting place was shaken, and they were all filled with the Holy Spirit and spoke the word of God boldly”. 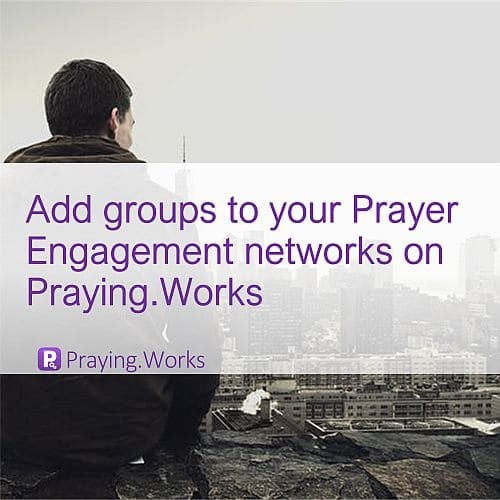 Praying with others precedes movements of the Holy Spirit, so why not start your prayer network on Praying.Works…its completely free. To say we are living in interesting times; is an understatement. Now more than ever we need to intercede; start a prayer engagement network and watch and pray for everything. It’s now completely normal to expect the unexpected. Marcon and Trump are discussing issues that directly impact the lives of every human on planet earth, including their own citizens.